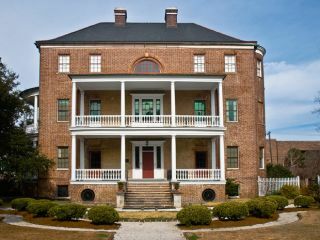 The expansive Aiken-Rhett House (c. 1818) stands as the city’s most intact antebellum urban complex. Historic interiors have been conserved and stabilized, having survived virtually unaltered since 1858. Many family objects are still found in the rooms for which they were purchased. 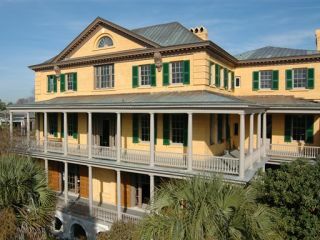 This beautiful home on Charleston’s High Battery affords a glimpse of early 19th century elegance, style and comfort. Built in 1825, the house contains Alston family furniture, silver, books and paintings. Three piazzas offer incredible views of Charleston Harbor. In 1861, General Beauregard watched the bombardment of Ft. Sumter here. 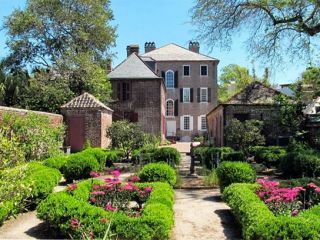 Built in 1772, “Charleston’s Revolutionary War House” was the town-home of Thomas Heyward, Jr., Revolutionary patriot and signer of the Declaration of Independence. 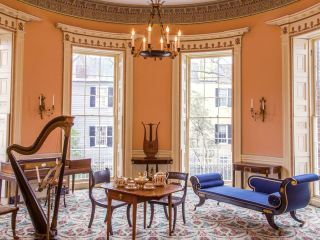 Located in the original walled portion of the city, the house features magnificent Charleston-made furniture and a formal 18th century garden. 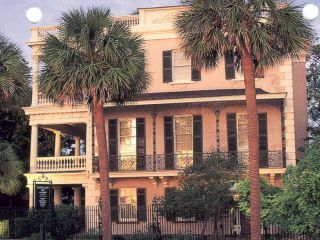 Charleston’s Huguenot House” was built in 1803 and is a premier example of Adam-style, or Federal, architecture. The garden Gate Temple and outstanding collection of American, English and French furnishings of the period capture the lifestyle of a wealthy, rice-planting family. 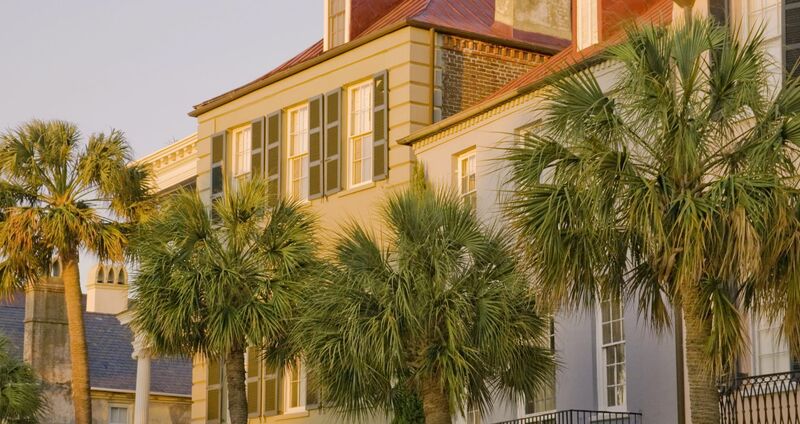 Visit the grand Federal townhouse of Charleston merchant Nathaniel Russell, completed in 1808. The gracefully restored interior boasts elaborate ornamentation and a magnificent free-flying staircase. Set amid spacious gardens and furnished with period antiques, the house evokes the gracious lifestyle of the city’s elite.